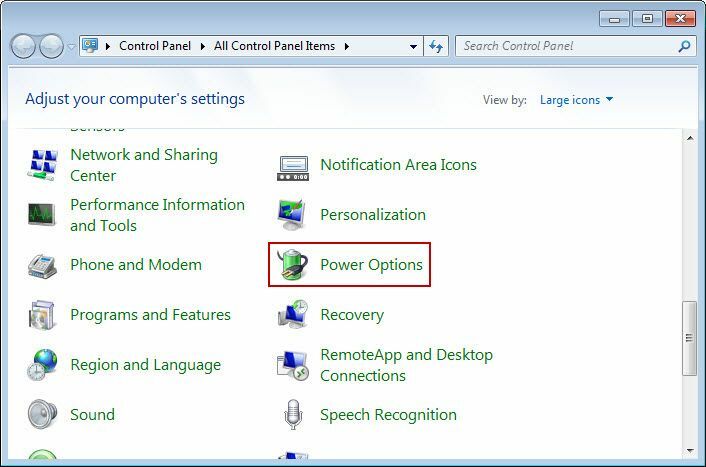 Click "Start" -> "Control Panel" -> "Power Options" (Figure 1-1). 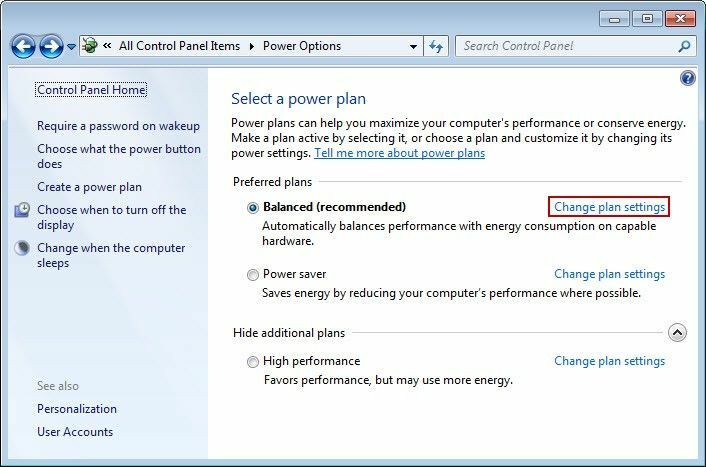 In the pop-up window, click "Change plan settings" (Figure 1-2). 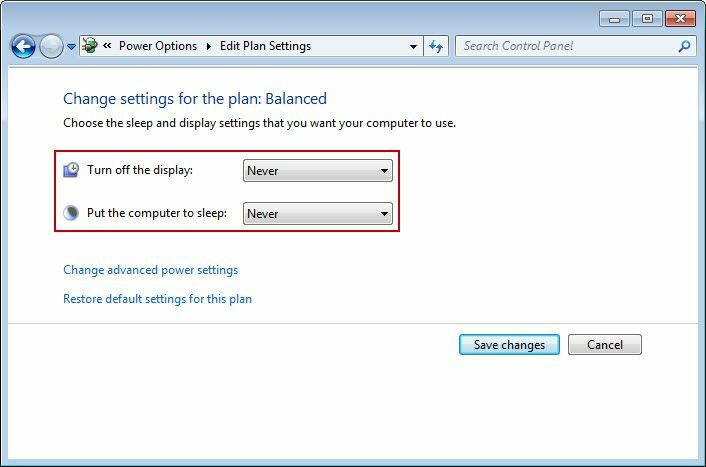 It will pop-up "Chang settings for the plan" window, in the "Turn off the display" combo box, select "Never". In the "Put the computer to sleep" combo box, select "Never" (Figure 1-3). 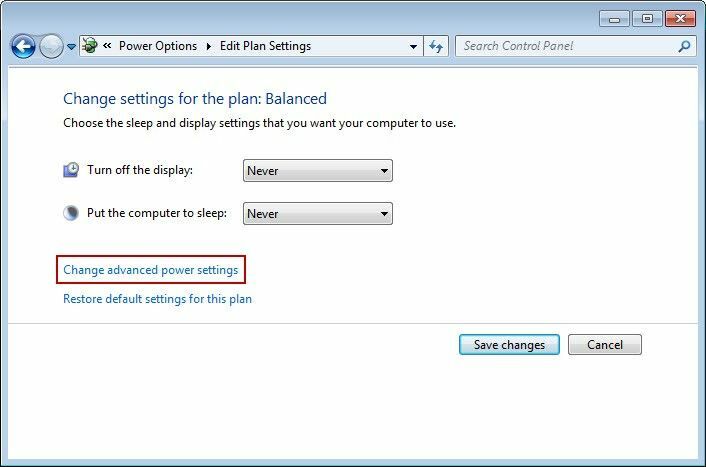 Click "Change advanced power settings" (Figure 1-4). 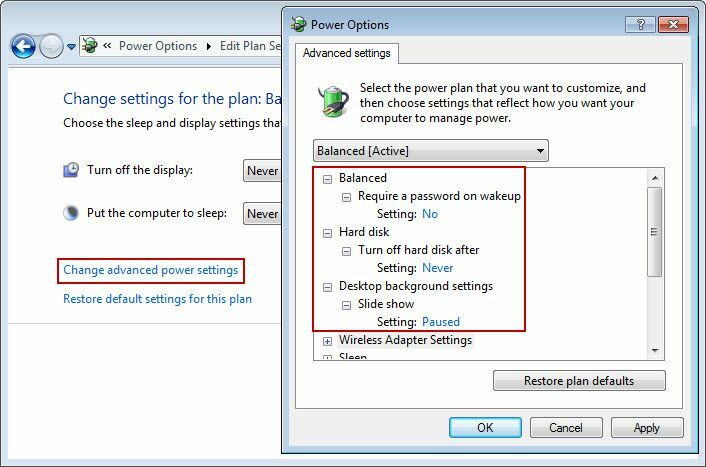 In the pop-up "Power Options" dialogue box, set "Require a password on wakeup" to "No"; set the "Turn off hard disk after" to "Never". Set the "Slide show" to "Paused" (Figure 1-5). 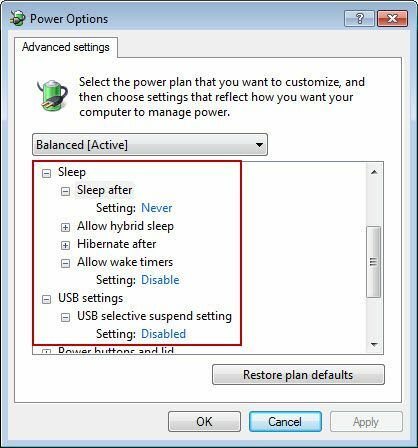 Set the "Sleep after" to "Never"; set "Allow wake timers" to "Disable" (Figure 1-6). 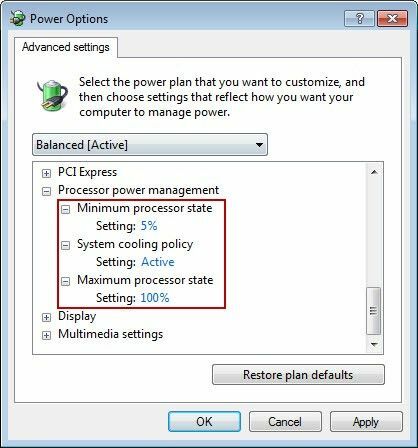 "Processor power management" is set to the default value (Figure 1-7). 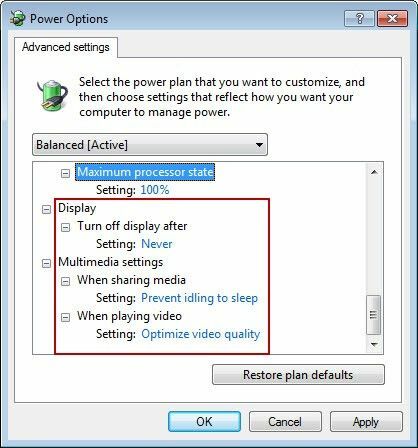 Set the "Turn off display after" to "Never"; "Multimedia settings" is set to the default value; and then click "OK" button (Figure 1-8).